Tours run weekends in October. ​The spookiest night of your life! ​Join us as we learn the mysteries and creepy history of Crosswicks. This haunted history tour is the perfect night to start your Halloween celebration. ​You don't want to miss this walk through town. 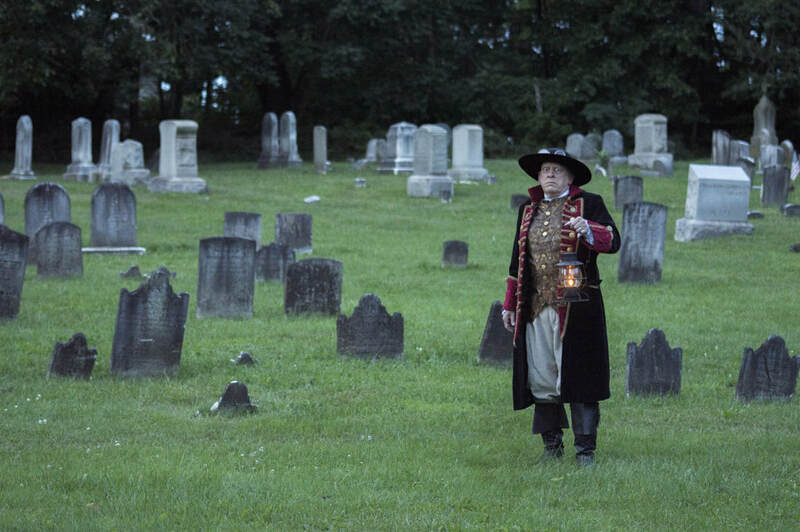 ​Come learn the spooky past in our own backyard. Who knows what parts of our past may still be lingering today! It was wonderfully researched and presented. Very entertaining. ​We thought it was fantastic from start to finish! Tim is a wonderful storyteller and guide. Great knowledge and stories about the town and Timothy was also amazing.